Hardwood floor refinishing is the ideal service for those that would like to change the stain color of their floors or if a floor has deep scratches, warped boards or other types of serious damage then we recommend refinishing. Despite being more expensive than resurfacing, our hardwood refinishing service is still much more affordable than completely replacing your hardwood flooring and acts as a great investment for your home. From eager investors to new homeowners and even just people looking to restore the true beauty of their home, people everywhere rely on our hardwood refinishing services. Your floors will be sanded down to bare wood, stained with your choice of color, then sealed and coated with the highest quality polyurethane available. 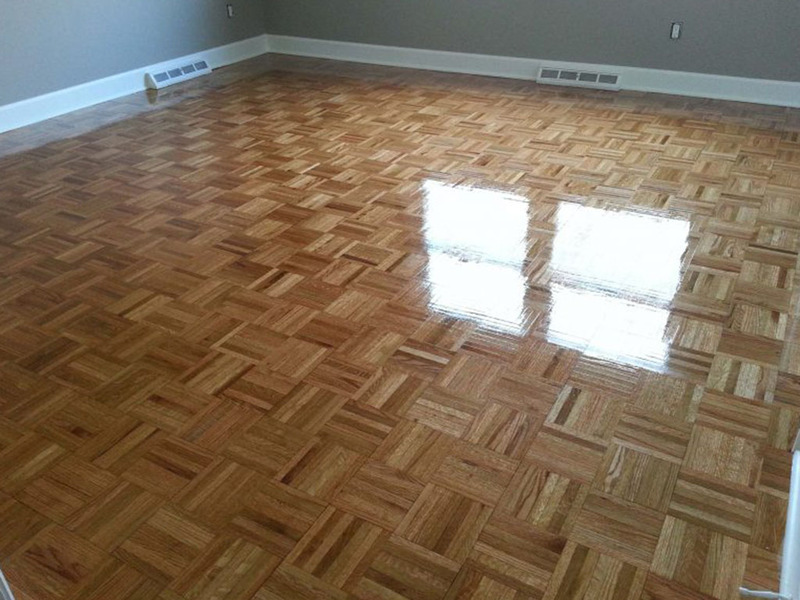 Because your hardwood floors are an investment, we treat them like one. Similar to painting a classic car, we make sure to sand the stain between each coat and utilize a polyurethane sealant to make sure that the finish on your floors has depth and looks great. As with our resurfacing service, you can choose from a gloss, semi-gloss or satin finish. Hardwood resurfacing doesn’t affect your wood floor in terms of its integrity or color, and our service is completely green & safe for your family. You won’t need to worry about leaving the house while we do our work. Our process avoids taking up too much of your busy schedule by being quick and efficient. Resurfacing your hardwood floors is one of the most cost-effective, value-adding home improvement services available. One of the best aspects of our service is that we can complete most projects within just one day, rather than spreading out the work over several days! On top of that, our hardwood resurfacing service starts at a cost of only 99¢ per square foot, which also makes it incredibly easy to estimate the cost of your project – simply measure the square footage of the area to be resurfaced. 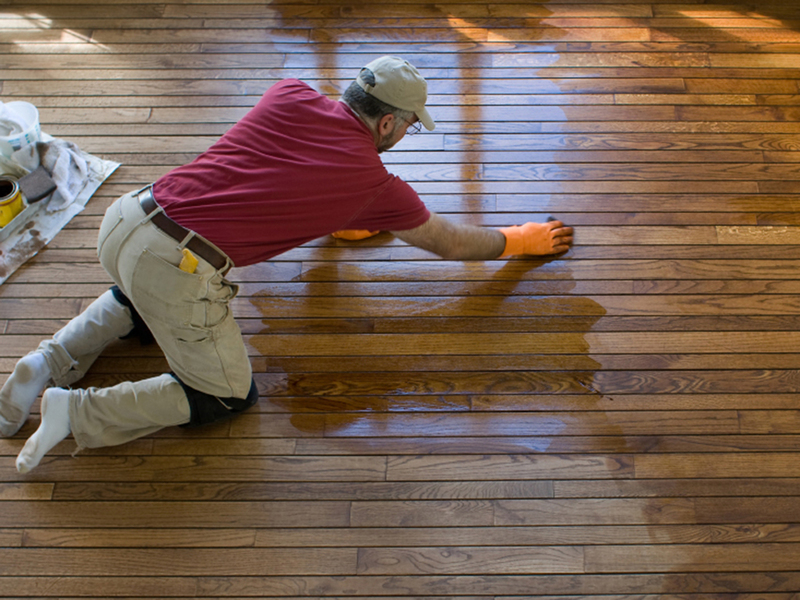 To resurface a hardwood floor, we remove just the existing finish through a unique buffing process. As a result, surface scratches, scuff marks, dull areas, and even discoloration can be eliminated. After we buff away the scuffs, we will apply a thin coat of our polyurethane product to seal and protect your hardwood floors.